The Wrath and the Dawn truly takes readers on a cultural journey. From descriptions of various Arabic traditions to authentic use of Sharazad's language, the tale encompasses a world of a beautiful and intriguing culture. Throw in a dash of forbidden romance and viola! You've got yourself a novel worth devouring. 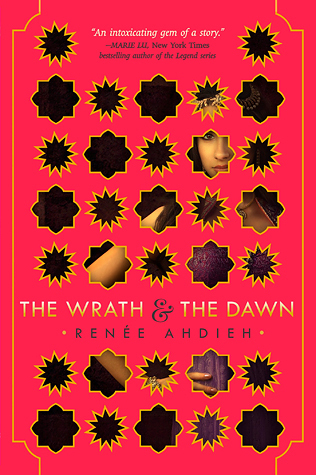 As the synopsis states, Ahdieh's story was inspired by A Thousand and One Nights. Magic definitely plays a roll in the story, but not an enormous one. Most of the novel centers around relationships: relationships between Shahrzad and her admirers, political alliances, friendships, etc. In the beginning, I rolled my eyes and worried that this was going to be one of those love at first sight deals. I mean, the king murdered her best friend. It was going to take some serious character and plot development to get me to go along with any kind of romantic relationship between Shahrzad and Khalid. Surprisingly, (and trust me, I'm trying not to spoil too much), the romance truly blossoms. I found myself rooting for a couple I initially hated. Much of my love comes from Shahrzad's character. She's incredibly fierce and headstrong, and I loved reading her snarky comebacks and witty remarks. Ahdieh did a fantastic job with Shahrzad, and as a result, the story never dulled. The plot definitely didn't go down the path I expected. I found myself wondering where Ahdieh was steering the story, and towards the end of the novel, I began to realize that much of the action was probably going to take place in the second book. The Wrath and the Dawn seemed to set up many of the relationships and politics, and I expect The Rose and the Dagger to really stir things up (especially after seeing the cliffhanger in the first book). So, overall, did I freak out about this one like so many other reviewers? Maybe not, but The Wrath and the Dawn truly is a gem of a novel. It's beautifully worded and chalk-full of entertaining characters. The sensory descriptions alone are enough to make someone fall in love with Shahrzad's world, from mouth-watering meals to the scent of jasmine in the air. If you haven't already checked this one out, I highly recommend that you do. What started as a skepticism towards the romance in the novel quickly transformed into fascination. 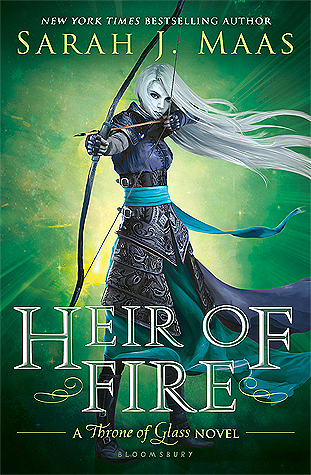 I cannot wait to see where Ahdieh takes the second novel!